Virtual reality is taking the world by storm. No longer the stuff of incomprehensible sci-fi movie plots, VR content is now available at almost every turn. Why? Because audiences are loving how they get to interact with it. Simply put, it’s fun. And it’s becoming increasingly popular – a 2015 study found that 81% of consumers would tell their friends about their VR experience, and that 79% would seek out additional experiences. And it’s particularly appealing to younger demographics so if you want to reach the youth (or the young at heart) you should definitely consider VR. But before you jump on the bandwagon and commission a virtual reality agency it’s important to know what you’re getting yourself into. Your average VR project requires a lot of new-fangled equipment, a number of complicated steps, and a coordinated, heroic team effort. 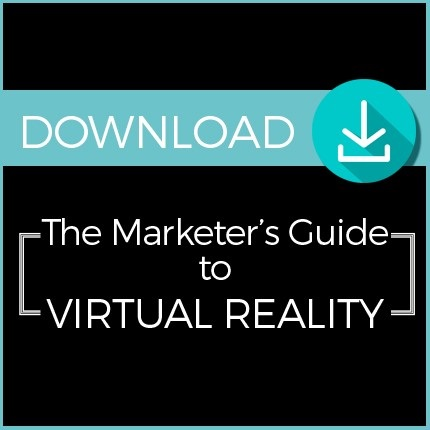 Download the Marketer’s Guide to Virtual Reality to find out how you can use VR to its full potential before calling in the video production agency cavalry.